The top 5 Emerging Renewable Energy industry report provides top-line qualitative and quantitative information of factors such as volume, market size value, and forecast to 2019. In 2014, the global Renewable Energy Market contributed the value of about $255,129.6 million. The top 5 emerging countries are estimated to grow up to 19.7% of CAGR and market value of about $626,933.0 million in 2019. 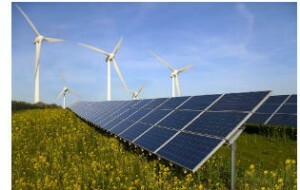 Among all other countries, China is the leading country within the renewable energy industry with the market value of USD 171,156.8 million in 2014 and is expected to increase with a value of USD 504,699.7 million in 2019. This was followed by Brazil and India with market revenue of USD 58,014.3 and USD 19,422.6 million and is predicted to rise up to USD72,987.8 and USD 39,630.5 million respectively. According to an Energy and Power Market Report, almost every European markets without exceptions have fallen while under developed markets across Latin America, Africa, and Asia continued their ascent. Emerging markets now characterize half of the countries in the 40-strong index; together with 4 African markets featuring in the top 30. A decade ago, only countries like China and India were attractive enough in competition with more developed markets for sustainable energy investment. A certain Market Research finds that a Chile market is the first one to enable economically viable renewable projects to challenge directly with all other energy sources. Similarly, Brazil’s renewable sector is showing flexibility amid an economic downturn and it’s less mature solar market remains a potentially beneficial lure. Emerging markets are changing their energy industries at an extraordinary pace. Last year, sustainable energy investments in the developing world hold of those in the developed world primarily. Researchers are testing in Latin America, how quickly market can grow. The report shows that Argentina was the highest-scoring new competitor. The transformation of the nation’s economy and roll out of determined sustainable program under its new pro-market government reinforces how quickly new markets can redirect the focus of developers and financier. Power and Utilities Corporate Finance leader in a press conference stated that earlier markets in their replaceable journey are benefiting from cheaper and more resourceful technologies, lower capital cost, and more reliable resource forecasting. The rising global flow of capital shows that investors are becoming more use to new markets. An enormous deployment of low carbon investment is seen in developing markets. Posted in Renewable Energy and tagged Energy and Power Market Report, Market research, Renewable Energy Market.